Inexpensive 35mm 'Full Frame' Photography! One of the best ways to get into 'full frame' photography, without breaking the bank, is through the purchase of a 'second hand' 35mm 'film' SLR camera and some compact manual focus lenses. I have used various 'film' cameras for years and one of the best is the Nikon FM3a SLR with some very nice Nikon AI-s lenses. I purchased one in 2009 and I thoroughly enjoy it. As I have written before, I get 'Jessops' in the UK to develop and scan my negatives. I can still post process the scanned jpegs using computer software. 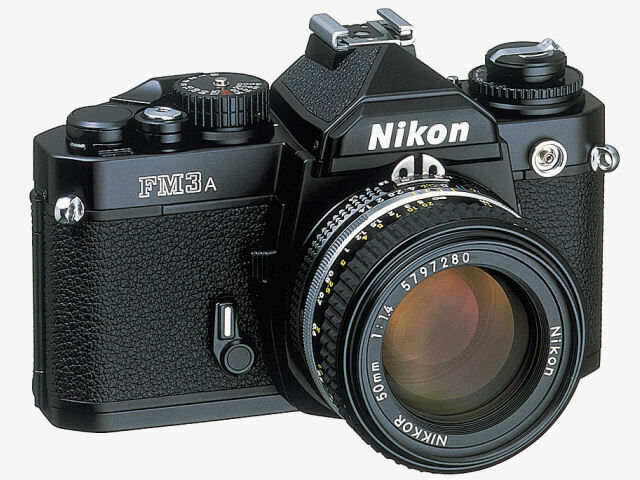 The Nikon FM3a is a relatively new camera by 'second hand' standards and it can still be sold on with very little loss of money. There are other options, Canon, Pentax and Olympus all made excellent SLR 'film' cameras and they are also available on the second hand market. I know that Kodak Ektar 100 and Portra 400 are the best colour films and they provide an excellent 'dynamic range' with a great deal of flexibility for exposure. There are very few other 'second hand' routes into 35mm full frame photography, perhaps a second hand Canon 5D MK1 DSLR as the digital route would prove the least expensive?